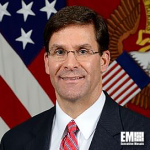 Army Secretary Mark Esper has said the service has evaluated every activity and program within the “equipping peg” and identified $25B in funds that could be shifted toward its top six priorities for modernization, Defense News reported Monday. The service’s modernization priorities are the next-generation combat vehicle; long-range precision fires; network; soldier lethality; future vertical lift; and air and missile defense. 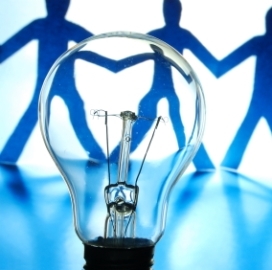 The Association of the U.S. Army has dedicated its fourth Innovators Corner session to 25 companies selected to present their proposals for addressing the service's modernization priorities. The U.S. Army said Monday the shortlisted firms participating in the Expeditionary Technology Search competition will use the three-day event to showcase their ideas for long-range precision fires, next-generation combat vehicle, future vertical lift, network, air and missile defense, and increased soldier lethality. Lt. Gen. Bruce Crawford, U.S. Army chief information officer, has said the service should leverage the large volume of data through the use of artificial intelligence, enterprise cloud, identity management and other “data-driven technologies” as it works to upgrade its network, Fedscoop reported on Aug. 3.